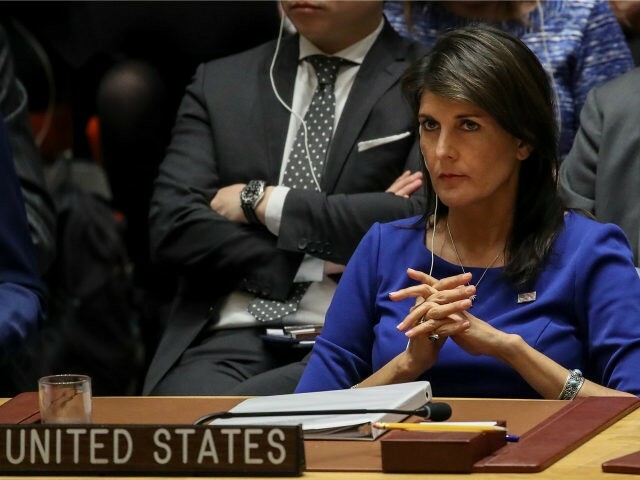 “It is outrageous for the Security Council to fail to condemn Hamas rocket attacks against Israeli citizens while the Human Rights Council approves sending a team to investigate Israeli actions taken in self-defense,” Haley said at an emergency council meeting. Kuwait, the non-permanent council representative of Arab nations, blocked a U.S.-drafted statement at the meeting. Instead, it drafted its own resolution that calls for “the consideration of measures” for the protection of Palestinian civilians, according to the text obtained by AFP. “The people of Gaza do not need protection from an external source. The people of Gaza need protection from Hamas,” Haley said. More than 100 mortars and rockets were launched at Israel by Hamas and Palestinian Islamic Jihad terrorist groups in Gaza, one of which landed on a kindergarten shortly before children were expected to arrive and another caused damage to a home in which a family slept. Four soldiers were injured. The barrage prompted Israeli airstrikes on dozens of terror targets all over the Strip. Also on Wednesday, UN envoy for the Middle East Nickolay Mladenov warned the Security Council via live broadcast from Jerusalem that the latest escalations were an indicator that Gaza was in danger of becoming embroiled in another war. “This latest round of attacks is a warning to all of how close to the brink of war we are every day,” said Mladenov. The U.S. will veto Kuwait’s draft resolution, Israeli Ambassador to the UN Danny Danon said. Tuesday’s flare-up was the most serious since the 2014 summer conflict between Israel and Hamas. It comes on the heels of weeks of Gazan riots in which the most deadly day, which coincided with the U.S. embassy opening in Jerusalem, resulted in the IDF shooting and killing 60 Palestinians attempting to breach the border. Hamas admitted that 50 of the fatalities were members of its terror group. The PIJ terror group claimed another three. Earlier in the month, the UN’s Human Rights Council passed a resolution calling for an investigation into IDF actions on the border during the protests, prompting Israel and the U.S. to slam the body for its anti-Israel bias. 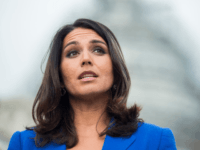 At Wednesday’s meeting, Haley blasted the Gaza-ruling terror group Hamas for provocations.